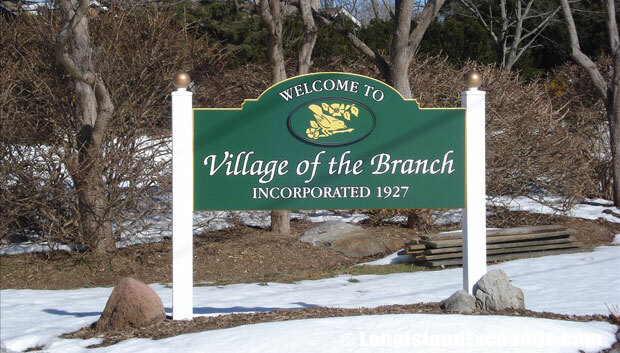 Village of the Branch is a small village located within the Township of Smithtown, NY on north central Long Island. Incorporated in 1927, the village currently covers about one square mile within Smithtown in Suffolk County. Within a 20-acre center is the Village of the Branch historic district which includes buildings dating back to the late 1600s. Most of these buildings are former homes that have been converted to professional office buildings while still preserving their historic charm. When considering new commercial buildings or renovations, the village strives to maintain architectural detail that adheres to 1850’s design. A sign welcomes visitors and residents to Village of the Branch, a small village located within the Township of Smithtown, Incorporated in 1927. 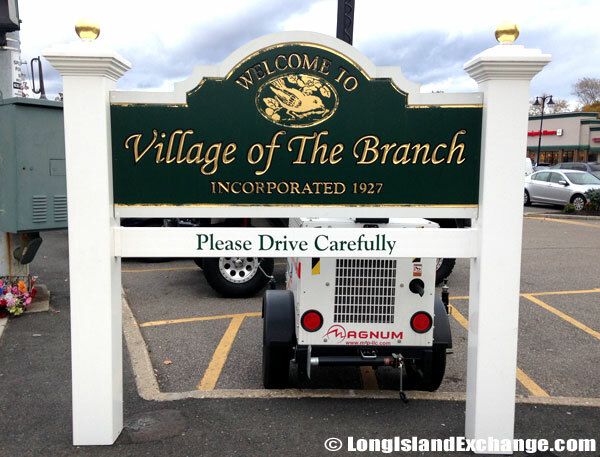 A sign welcomes visitors and residents to Village of the Branch, a small village located within the Township of Smithtown covering approximately one square mile within Smithtown. Legend has it that Smithtown was founded by Richard Smythe, one of America’s earliest settlers in the 1650’s, on land that was acquired from the Nesquake Indians after Smythe accepted a challenge from the Indians to purchase only as much land as he could cover riding a bull in one day. He chose the summer solstice and covered approximately 27 square miles. However, other documentation exists as evidence that the land may have actually been acquired by Englishman Lion Gardner as a result of successful negotiations between the Montauk and the Nesquake Indians in which the kidnapped daughter of the Montauk chief was retrieved. Gardner then gave the land to Smythe. The Branch Shopping Plaza, located on Route 25 (Main Street) is home to many shops, a fitness center and restaurants. 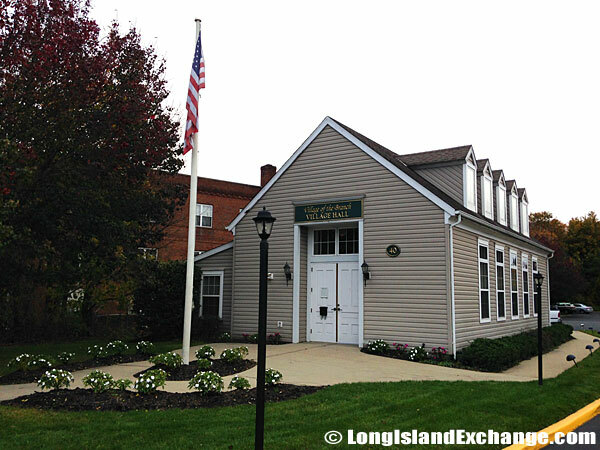 Village of the Branch Village Hall Building, located at 40 Route 111, Smithtown, New York 11787. While the Village of the Branch is located entirely within the bounds of Smithtown, incorporation allows for a separate mayor and board of trustees that oversee zoning, planning, police and fire protection and other village matters for the nearly 2,000 people who live there. Village of the Branch continues to work in cooperation with Smithtown officials, however, for the greater benefit of its citizens. 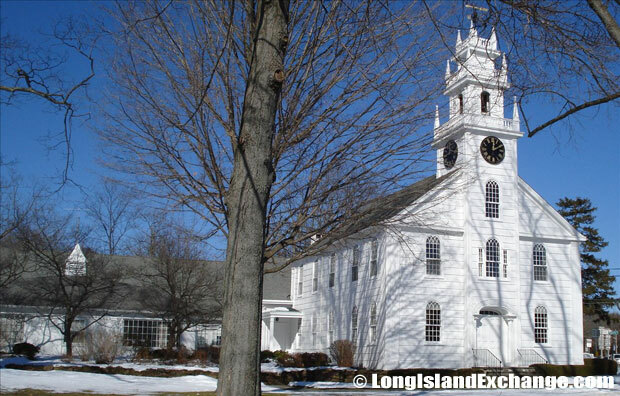 The First Presbyterian Church of Smithtown, built in 1825 serves as a historical landmark for the entire community. The Church’s heritage dates back to 1675 when the first meeting house was built near the mouth of the Nissequogue River. Today, Village of the Branch residents have the best of both worlds in being able to enjoy a high quality of life within the tree-lined residential areas and historical center of the village and yet also have easy access to shopping centers, the Smithtown library, restaurants, country club and golf courses in Smithtown. Residents can also gain permits to enjoy the beaches along the southern side of the Long Island Sound, on the northern side of Long Island itself. Finally, with its location on Route 111 in Suffolk County, Smithtown and Village of the Branch are approximately 65 miles from New York City, allowing for fairly easy access to the big city while still maintaining small town charm. 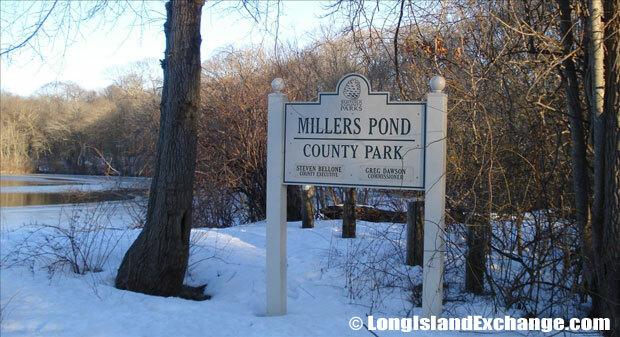 Millers Pond is a small pond on 21 acres located in Smithtown on Suffolk County park land; the pond is home to a warmwater fish such as largemouth bass, perch, sunfish, and bullhead. If looking to relocate to Village of the Branch, expect to find homes valued at between $350,000 and $750,000 and a fairly limited selection due to the overall size of the village. Neighborhoods tend to be quiet and family-friendly, with hundreds of families calling this area home. A sign on the side of the street welcomes visitors and residents to a residential area within the Village of the Branch while also reminding drivers of a strict 30 mile per hour speed limit throughout the residential streets. While school taxes are the same for residents of Village of the Branch as of those in Smithtown, other taxes are less. This is mainly due to Village of the Branch contracting for its own services in snow plowing, leaf and brush pickup, and Fire Department coverage. Tax savings amount to several hundreds of dollars per year for Village of the Branch residents, making this one of the more favorable areas of Smithtown to consider home.